Hosted in Hollywood since 2014, the Darley Awards hit the stage of the St. Regis Houston fresh and re-energized as it sought to honor the past, celebrate the present and embrace the future for Arabian racing in the United States on March 23, 2019, in Houston, Texas. The elegant weekend attested inspiration around every corner, beginning at nearby Sam Houston Race Track on the evening of Friday 22 March for the $20,000 Darley Distaff Sponsored by Lufthansa Cargo and the $20,000 Darley Sprint Sponsored by Lufthansa Cargo. Guests enjoyed the private Finish Line Suite throughout the evening, complemented by the exciting back-to-back Arabian sprint races. Both fields were dotted with several Darley Award nominees from the 2018 racing year and delivered dramatic finishes in both races. Horse of the Year nominees Easter Man and Quick Sand AA – both horses share the same owners/breeders, Joe & Betty Gillis, who was also nominated in the Owner of the Year and Breeder of the Year categories – dueled in a mighty homestretch battle in the seven-furlong Darley Sprint resulting in a photo finish that ultimately saw Easter Man prevail, ridden by Carol Cedeno (Jockey of the Year nominee) and trained by Jerenesto Torrez (Trainer of the Year nominee). As if his courageous finish could be more extraordinary, Easter Man achieved this feat after setting the track record just two weeks earlier in the $50,000 Sheikh Zayed Bin Sultan Al Nahyan Cup (G1) at the same distance. The seven-furlong, all-female Darley Distaff followed, and dispensed equivalent exhilaration as Horse of the Year nominee Uptown Sandy Girl, owned and bred by Jon & Krista Henningsgard (Breeder of the Year nominee) of Uptown Arabians, battled with up-and-coming star Dance With Me BW (3 Year Old Filly nominee) but once again proved her extreme talent winning by one length. Uptown Sandy Girl was ridden by Jose Garcia and trained by Glen Rottweiler. It was an evening to remember, facilitated by new race sponsor, Lufthansa Cargo, who presented trophies and coolers to each of the winners sporting the familiar Lufthansa Cargo brand. 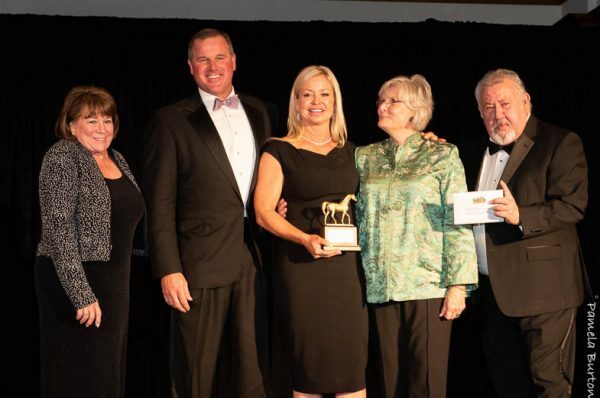 The celebration kicked into high gear the next evening for the 32nd Annual Darley Awards. Over 100 guests from the United States and Europe ascended onto the St. Regis Houston where they were greeted with champagne upon arrival before taking their official photograph and enjoying pre-dinner cocktails. Doors opened to the Astor Ballroom for a superlative multi-course dinner that preceded the Darley Awards program. Jon & Krista Henningsgard for 4 Year Old Filly. Credit Pamela Burton. Joe & Betty Gillis for Older Horse. Credit Pamela Burton. Cory Soltau, Evelyn Call, Terri Eaton for Older Mare. Credit Pamela Burton. 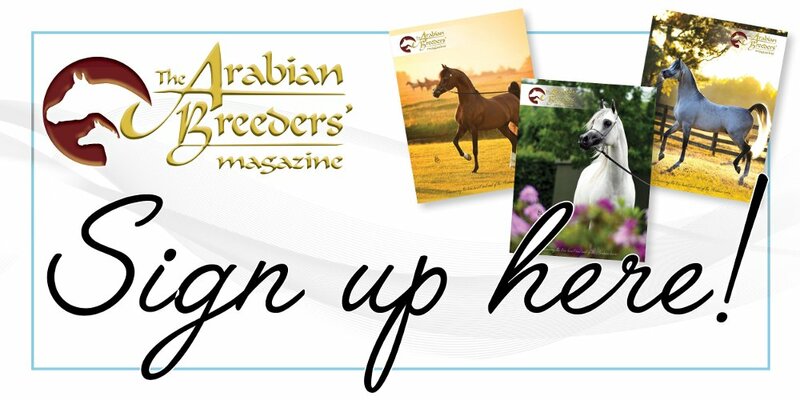 Joe & Betty Gillis for Breeder of the Year. Credit Pamela Burton. Jerenesto Torrez for Trainer of the Year. Credit Pamela Burton. 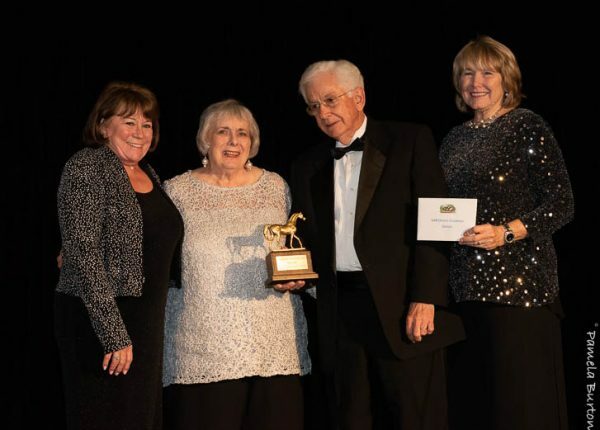 Two additional significant awards were also presented that evening by Susan Meyer, president of the Arabian Jockey Club. 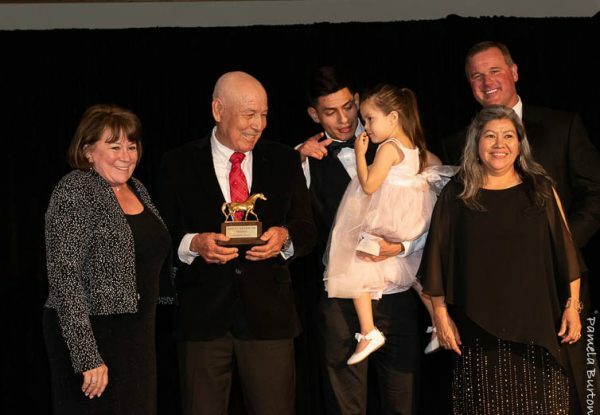 KA Czubuthan was inducted into the Arabian Racing Hall of Fame, an award accepted by his owner Michael and Vicki Economopoulos as well as his caretaker Michelle Morgan. 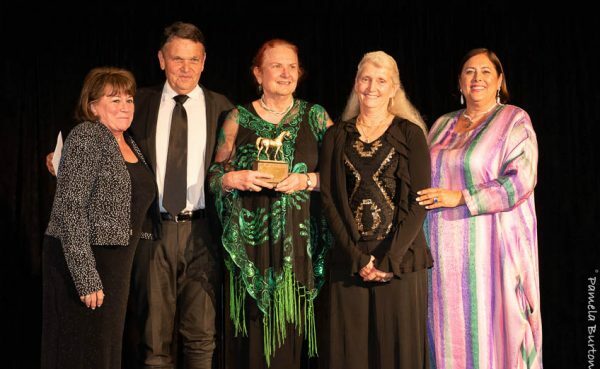 Then, Denise Gault was inducted into the Arabian Racing Tent of Honor for significant lifetime achievements and substantial contributions to Arabian racing. The Arabian Jockey Club’s Facebook live streaming service, AJC LIVE, streamed the Darley Awards, reaching more than 2,700 people from around the world and climbing. The live stream was made possible by support from Dianne Waldron of Rosebrook Farms, owner of the Darley 3 Year Old Filly, Dance With Me BW. 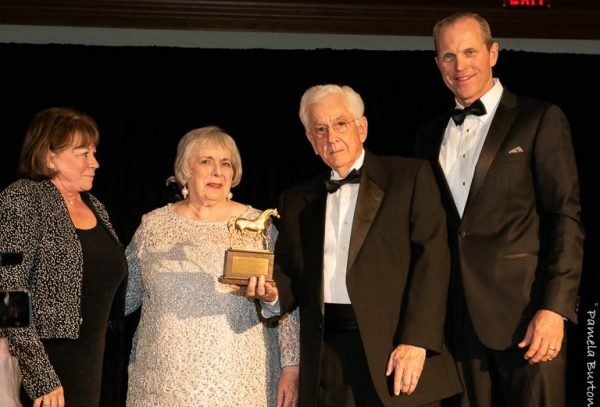 The 33rd Annual Darley Awards will return to Houston in 2020.